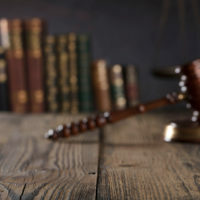 Between an arrest and trial in a criminal case, prosecutors and Florida defense attorneys engage in the practice of discovery so that both sides can learn more about the claims and allegations. There are many tools lawyers have at their disposal for discovery purposes, as the goal is to exchange as much information as possible and frame the issues for trial. Documentary discovery is useful, but depositions can be even more effective as obtaining the details regarding criminal charges. A deposition is essentially a session where a person sits down with the attorney that requested the meeting, and answer questions regarding the case. Both the Florida Rules of Criminal Procedure and federal law provide for depositions, so it is important to understand how the process works if you are facing any type of charges. If you are a defendant in a felony case, you have the right to depose all witnesses that may have information regarding the charges. This right does not extend to misdemeanors, but it is possible to request and obtain permission from the court to take depositions if you can show good cause. The prosecuting attorney has the same leeway in deposing witnesses, though you will not go through the deposition process as a criminal defendant. Doing so is a violation of your right against self-incrimination under the Fifth Amendment of the US Constitution. A deposition is essentially an interview that takes place in front of a court reporter, though not in a court room. The person being deposed will be sworn in, much like a trial. Because deposition testimony is under oath, the deponent may face serious consequences for not answering questions truthfully. The scope of a deposition is quite broad, so your criminal defense lawyer can ask almost any question that may eventually lead to information that would help your case. For example, a deposition may reveal that police engaged in an illegal search or may point to exculpatory evidence that could lead to dismissal of the charges. Another objective in a deposition is to get to the bottom of the deponent’s story. If he or she is the victim of the crime with which you are charged, there may be discrepancies in deposition testimony as compared to statements to police. Plus, once a person is deposed, they are bound by that testimony provided. If they try to change the story and present different answers at trial, deponents risk impeachment, which calls their credibility into question. When the prosecutor’s case relies on witness testimony, and that person loses credibility for being dishonest, the results are extremely beneficial in your case. If you would like to know more about depositions in criminal cases and how they can help with your defense, please contact the Fort Lauderdale, FL office of attorney Kevin J. Kulik. We can set up a free consultation with an experienced lawyer who can answer your questions and help prepare a strong defense strategy.